Constructing an NFL team through ​free agency rarely works out in the long run, but that sure hasn't stopped teams from ​spending this​ year. Just one week into the signing period, we've already seen massive contracts handed out to mid-tier stars like Trey Flowers, Nick Foles and Landon Collins. 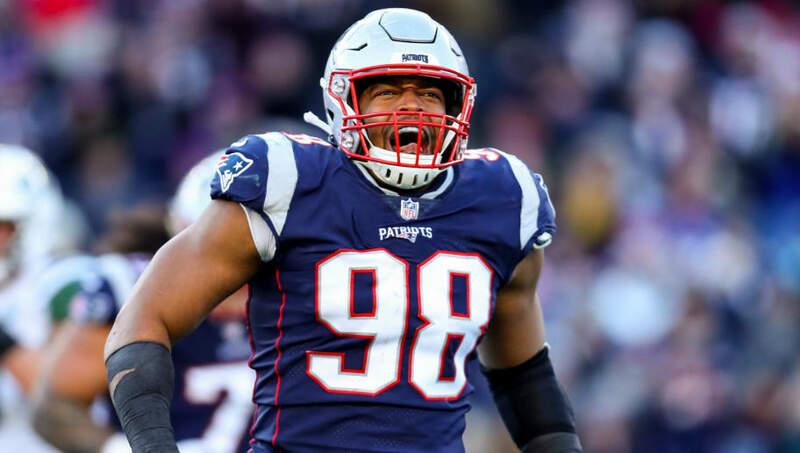 The Detroit Lions gave Flowers, the former New England Patriots' defensive lineman, the most lucrative deal of the offseason so far, shelling out up to $90 million over five years. This reunites Flowers with his former defensive coordinator Matt Patricia, who is now the Lions' head coach. Flowers is more effective than his stats suggest, as he only tallied 14 sacks over the past two seasons combined. But if he can't raise those totals in Detroit, Lions' fans might be left scratching their heads. The Washington Redskins reset the safety market by signing Collins to a 6-year, $84 million contract, making him the highest-paid safety in the NFL. Most ​NFL analysts feel the Redskins overpaid, but Earl Thomas, arguably the best safety in the NFL when healthy, was likely a beneficiary of Collins' massive contract. Like having another coach out there. Thomas signed a 4-year, $44 million deal with the Baltimore Ravens, and if the 29-year-old manages to stay on the field, he could be an extremely impactful player. As for the offensive side of the ball, the Jacksonville Jaguars released Blake Bortles, opting to replace him with former Super Bowl Champion, and Philadelphia folk hero, Nick Foles. The Jaguars inked Foles to a 4-year, $88 million deal, hoping he can finally take Jacksonville over the top. He has over $45 million in guarantees. Overall, we've certainly seen some massive contracts handed out this offseason, but whether or not these signings will pay off remains to be seen.